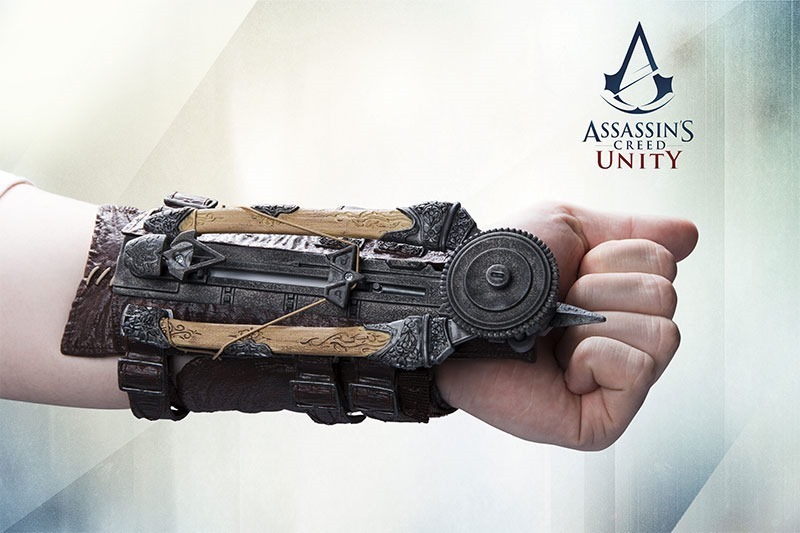 Your very own phantom blade; a slick, awesome replica of the one that Arno uses in Assassin’s Creed Unity. We’ve got just the one to give away thanks to our friends at Ubisoft. We tasked you lot with coming up with cool, crazy ideas for a silly gun – with the winner, hand selected, becoming the proud owner of the collectible. Here’s who won it. Well, here’s who would have won it if we’d relied on Random.org this time. Thankfully, it wasn’t up to Random.org. This time, we put it up to vote by staff. Frankfully, most of the entries were creatively on the bankrupt side – or at least we thought so because so few of ‘em made us giggle. The winner then, by decree, is Hammersteyn, who made 2 of the 5 of us giggle for a few seconds. Because weaponised badgers are awesome. Shoulder mounted canon that fires flaiming honey badgers infected with ebola! Why, you may ask? Well, come closer and I shall tell you! You close in on the target, separate yourself from the crowd and approach, all stealthy like… in plain si ght during broad daylight. You reach into your cloak and draw the SSBB, you then grab your target’s shoulder, whip him back and shove the SSBB into his eye socket and pull the trigger. Chaos ensues! You make a dash to escape, dropping the spent magazine (banana peel doesnt sound as cool) behind you as the target’s companions pursue you. One of them slips on the spent SSBB magazine and crashed into the other. They recover and run around the corner, confused as to where you are… walking right passed a bench, not seeing the smirk on your invisible face. Neither of them get anything other than a fleeting moment’s recognition and a thumbs up, but that’s just the way things work, unfortunately.